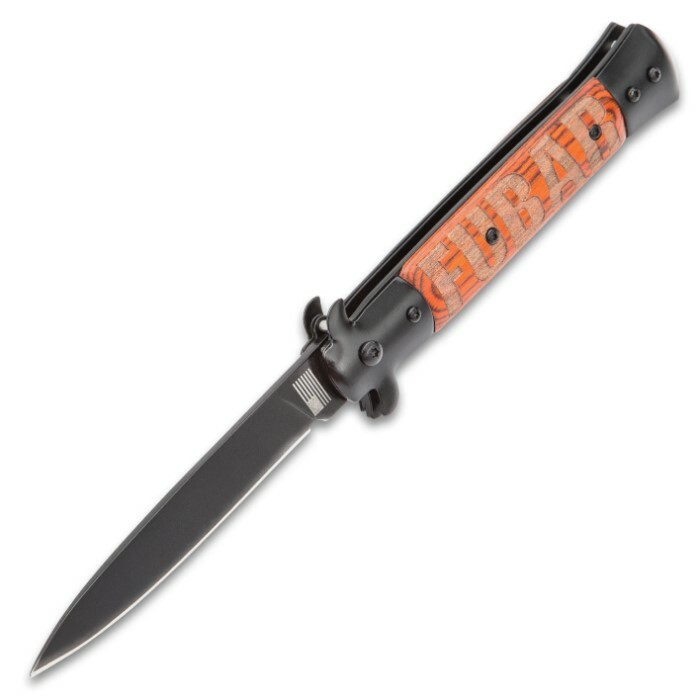 FUBAR Wooden Handle Stiletto Pocket Knife - Stonewashed Blade, Assisted Opening, Wooden Handle, Stonewashed Bolsters | BUDK.com - Knives & Swords At The Lowest Prices! 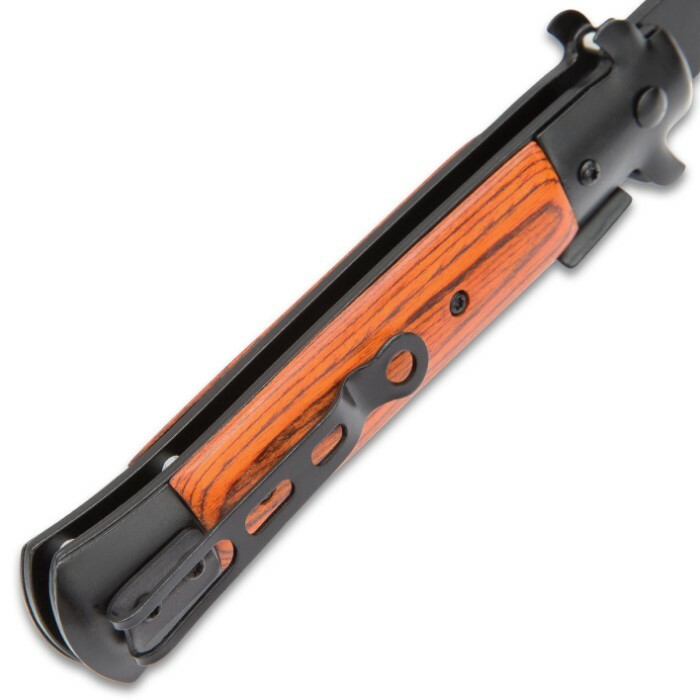 Our FUBAR Wooden Handle Stiletto Pocket Knife can absolutely back up what is deeply etched into the genuine wooden handle! The 4” stonewashed stainless steel blade is razor-sharp and can be quickly accessed with the assisted opening mechanism. 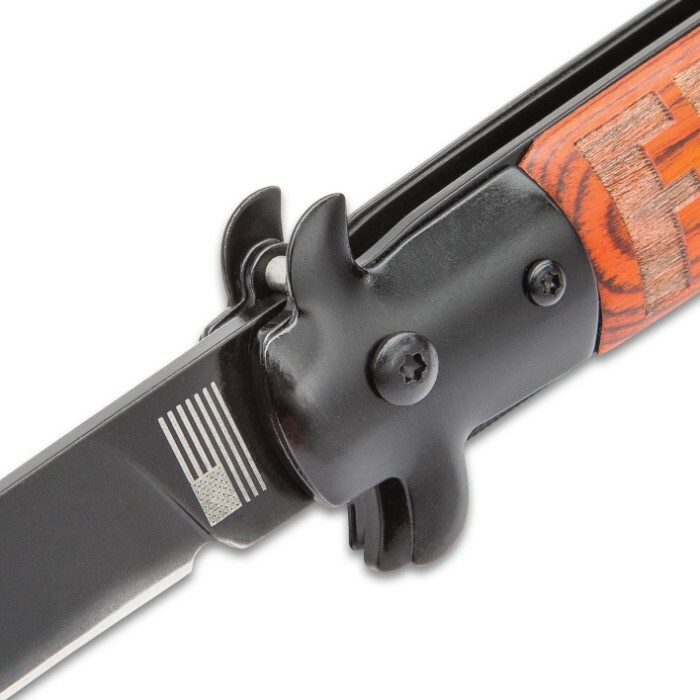 The blade features a small American flag etching at its base. 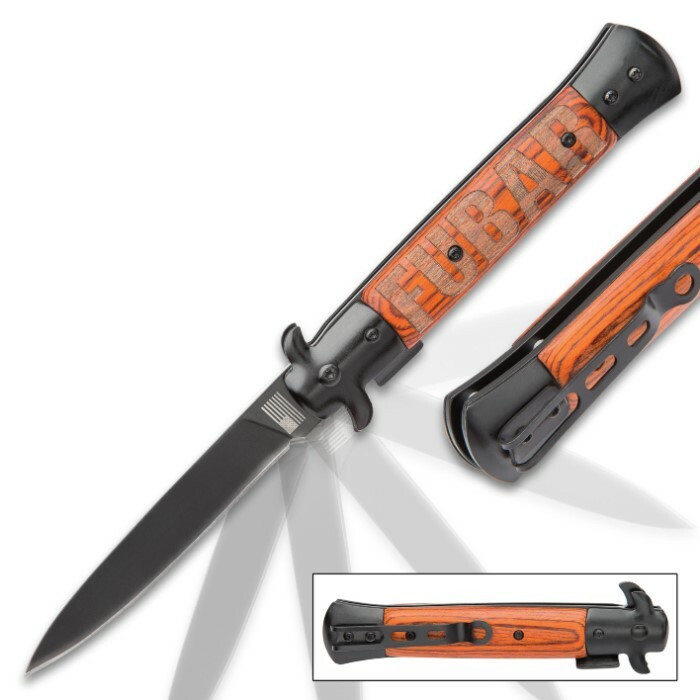 The wooden handle scales are securely attached to the handle and are complemented by stonewashed bolsters and a pocket clip. 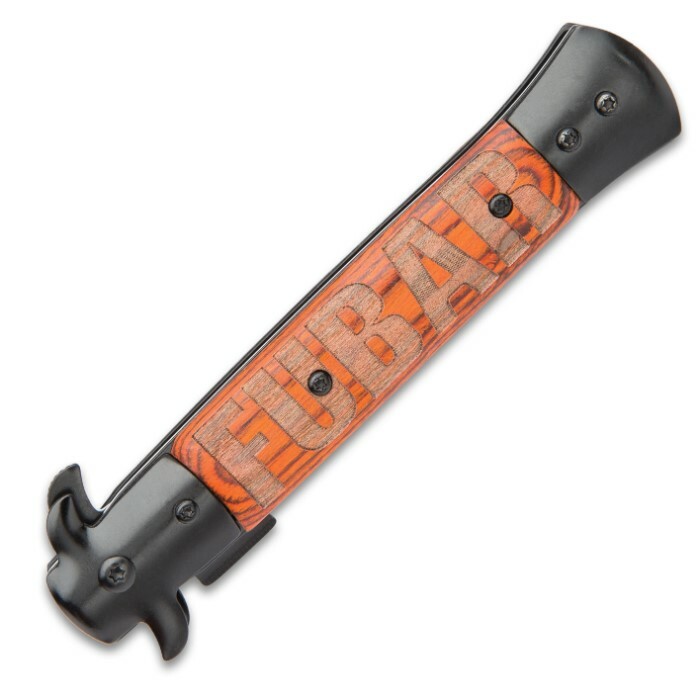 The FUBAR Stiletto Pocket Knife is a friend you can count on when it goes down!